Incredible group specials for family and friends! Be a good host and offer your friends and family Triple J’s award-winning barbecue at your next family gathering or get together with friends. 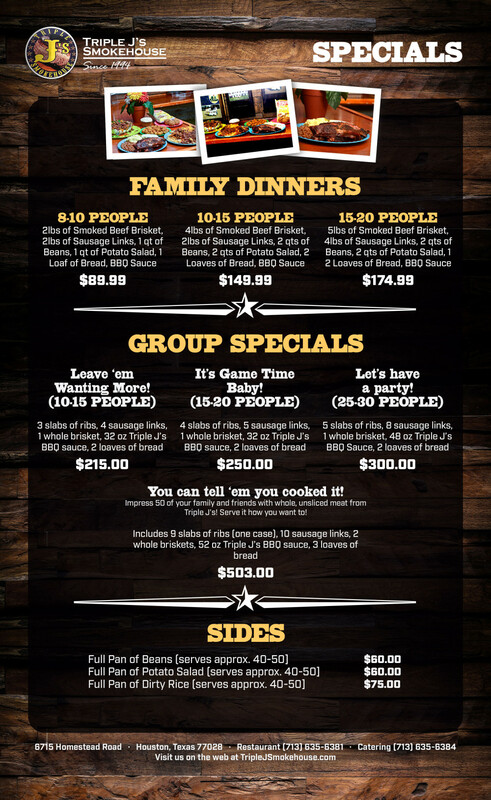 With delicious smoked meats, sizzling sides, and delicious desserts, Triple J’s has your meal covered, from game day to whatever your big day may be!